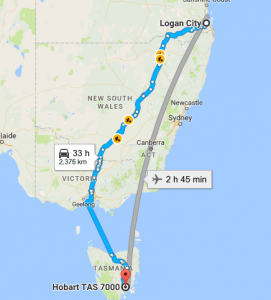 Roadways – Making Relocation a Breeze for all your Logan to Hobart removalists. Even if your shipment is only a single box or a few items that would not require a full truck, we can help out with our interstate backloading services. We will normally be able to accommodate your request on any of the trucks that may have some space available. Even substantially large backloading requirements may also be met in this manner. While we are specialists in personal effects removals, many of our clientele belong to the commercial sector and depend on us for shipping of furniture, equipment for trade shows and exhibitions, dock-to-dock transport for export / import goods and office relocations. Trust us and you won’t be disappointed. As the best, Logan to Hobart removalists, our network of specialised furniture removals covers all destinations in Australia. Call us today to get started!